Last weekend, Atlas Obscura hosted a Lock Picking Party at the amazingly beautiful General Society of Mechanics and Tradesmen in Manhattan. It was one of our biggest parties yet, and dare I say, one of our best. 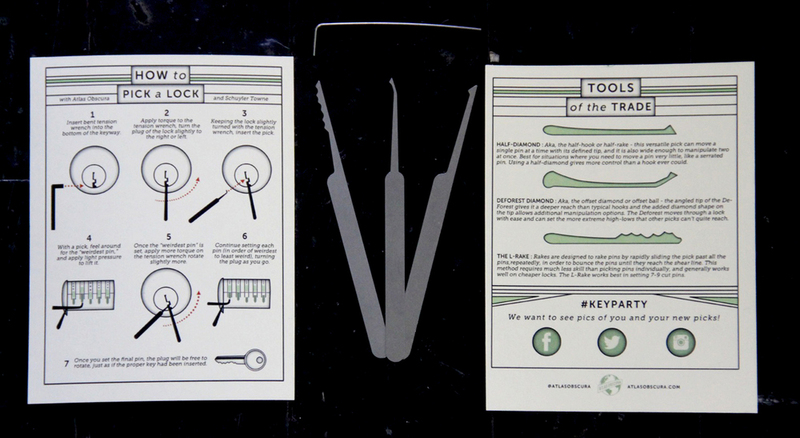 Guests were greeted with their own personal take-home lock picking kits, and over the course of the night, were promptly boozed up, taught how to pick locks, and sent back out into the world tipsy, and with their new scandalous skills. I was tasked with the job of creating all of the print materials for the party - instructions for how to pick locks, descriptions of the new tools, cocktail menus, informative cards, and yes, I did hand stamp 300 bags all by myself. I may have mentioned this before, but any chance I have to get away from the computer and perform some repetitive task, I take. I love the zen-like state it puts me in. This was probably one of the most fun things I've gotten to design for Atlas Obscura, and, bonus, when I was done, I knew how to pick locks! 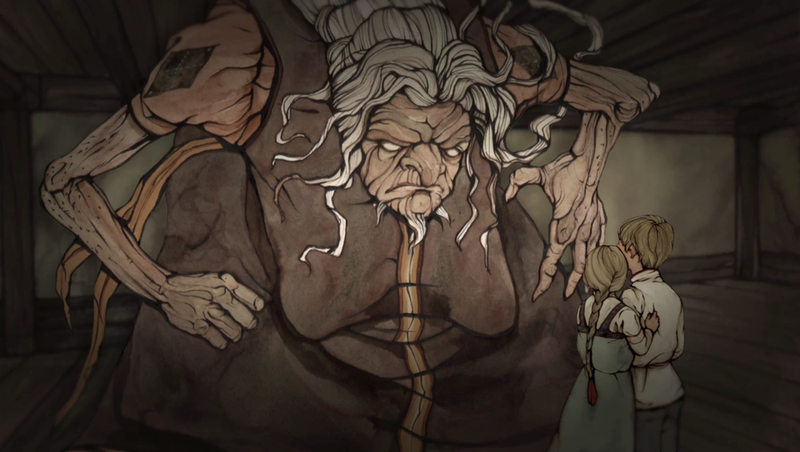 I spent much of the last year working on an animated Baba Yaga fairytale for the documentary The Vanquishing of the Witch Baba Yaga. It was a blast to work on, and how could it not be? It has everything you could ask for: a hut on chicken legs, dark and grasping forests, a helpful cat with glowing eyes, a magic comb, a looming witch who travels by giant mortar and pestle, a moonlight abduction, windmills, and even a ghost! EVERYTHING I SAY! 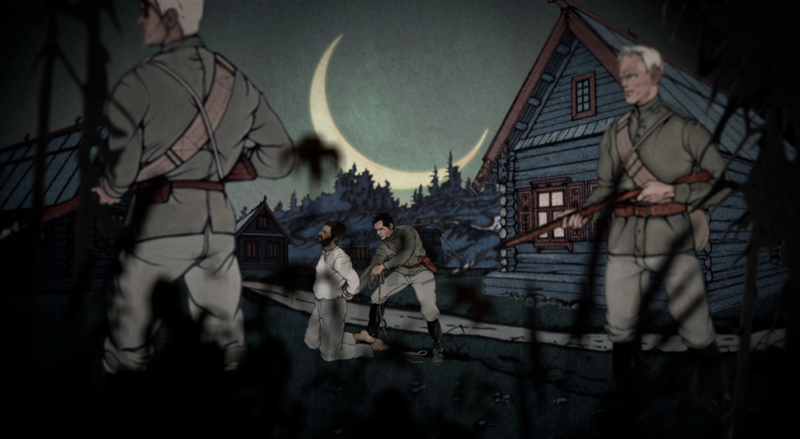 The film was made by my good friend Jessica Oreck and is part live action shot in Eastern Europe and part animation. The fairytale scenes were illustrated by the talented Devin Debrowski, and then I brought them into a paper-theater-esque 3-Dish space, and added lighting, shadow, and effects. 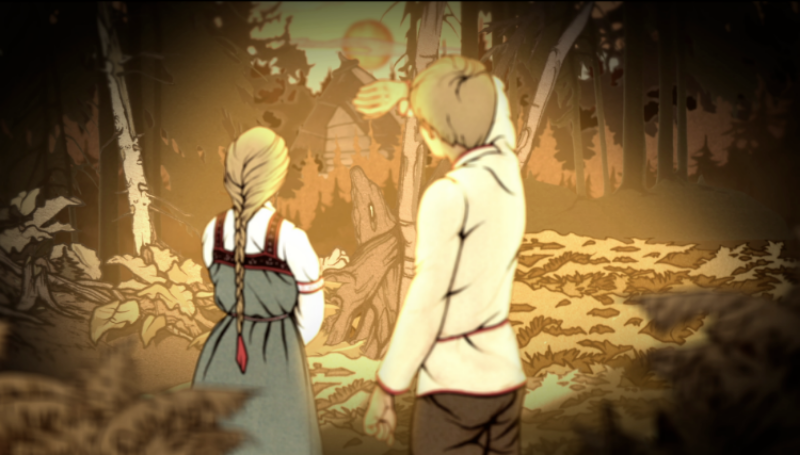 Below are a few stills from the animation. At last I will have a chance to watch the film in its entirety, and if you are located in NYC, so can you! The Vanquishing is screening this Saturday and Monday as a part of New Directors, New Films. I'll be at the Saturday screening, maybe I'll see you there! The film has been getting fantastic reviews, and it's sure to be a cinematic experience unlike any you've seen before. 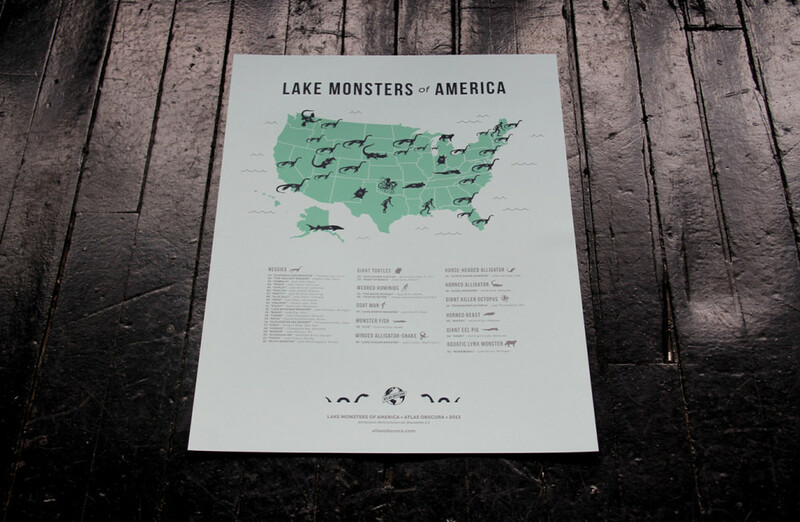 Lake Monsters of America : Screen Printed for your Poster Needs! The Lake Monsters of America map I designed has been turned into a real live object! As someone who lives in a digital world, this is incredibly exciting for me. Objects!! Real! Touch them! Buy them! They are limited edition! Bet you didn't know that I'm an amazing set designer as well. Here's one of the map on the office floor! So versatile! The maps drying at Fleaheart, the screen printing shop that did all the hard work while I lazed around musing over color choices. Me on the way to the post office with my first orders! THRILLS! Last year, Atlas Obscura hosted 6 events all over the US to celebrate Field Trip, a great app from Google (of which Atlas Obscura is a proud publishing partner). I completely forgot to share this video that I edited, recapping the day from coast to coast. This month and next, Atlas is hosting another round of Field Trip Days in London, New York, Seattle, and LA. 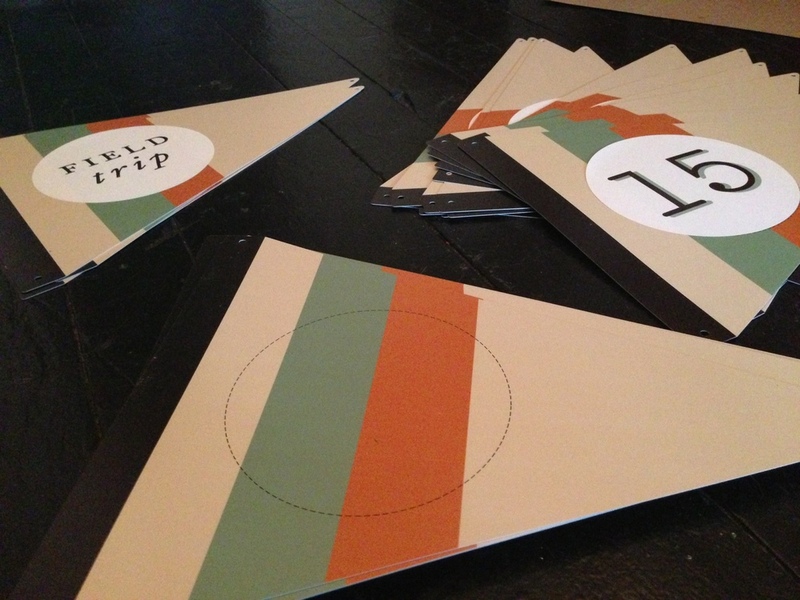 Tomorrow afternoon is Brooklyn's event in Red Hook, and we are deep in Field Trip goods here at the Atlas office. I spent most of yesterday stamping bags, assembling the welcome packs, and prepping the signage. I had a blast working on it all - I'm always delighted to get away from the computer for a few hours. 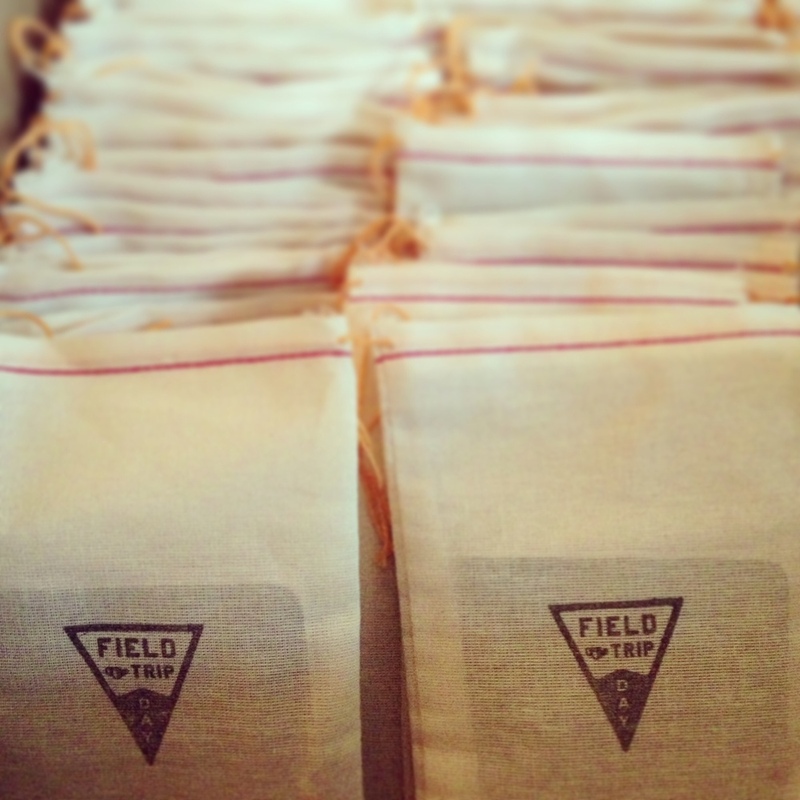 Reserve tickets here: Field Trip Day, explore Red Hook, and be prepared for lots of surprises. Hope to see you there! Last Friday a small contingent of the Atlas Obscura team went out to Yonkers to explore the abandoned greenhouses and building that formerly housed the Boyce Thompson Agricultural Institute. I am normally extremely risk adverse so trespassing makes me embarrassingly nervous, but the beauty of these abandoned greenhouses transported me away from my fears. Wandering atop a thick layer of broken glass under a green-tinted roof felt like an eerie fairytale. There is a new Museum of Mathematics in Manhattan, and it's wonderful. I went last Friday on the first of monthly field trips with the Atlas Obscura team. It's one of the few museums I've been to that created interactive displays which appeal to both children and adults equally. Lots of pictures over at Atlas Obscura! Look! I'm on a square biked sized for children! What fun!! New Project That I Can't Tell You About! Whew, it's been a busy few months! Besides a slew of freelance work, I've started shooting an exciting new project with my good friend Jessica. I can't talk too much about it yet, but I can say that it is getting me away from the computer, mercifully. Here is a sneak peak from our stop-motion shoot this weekend! I have a deep fondness for this lavender and pink beetle. Jessica and Jae spot Dylan as he adjusts our very professional camera rig. Jessica and I blow tiny hairs and dirt specs off our set. We're gearing up for a big day tomorrow – an Obscura Day walking tour of Dutch Kills at 10, an exploration of Staten Island's forgotten beaches at 3, and at 9, my 30th birthday party, featuring big group games like pictionary and charades. Because what are your art school friends good for, if not a rousing bout of pictionary and charades? I am especially a fan of blind pictionary - the handicap is important because most of my friends are too good at drawing to pose a challenge. Non-writing hand pictionary is also a favorite. Here is a poster I designed for Obscura Day - sadly, we didn't get the printing order in on time, so for now it exists merely in the realm of the digital, but I'll probably have my own printed at some point, as I'm pretty proud of this one. I'm very excited to announce the launch of the Obscura Day website for 2012. I designed the site and badge this year, and am really pleased at how it turned out. If you don't already know, Obscura Day (hosted by Atlas Obscura) is an international celebration of unusual places. On April 28th, people all over the globe will attend hundreds of curious events - backroom tours, private collections, and unique expeditions. Dylan and I will be at as many NYC based events we can cram into one day. I'm especially looking forward to The Forgotten Beaches of the Forgotten Borough, hosted by Underwater NY. They always find the most incredible places to explore.